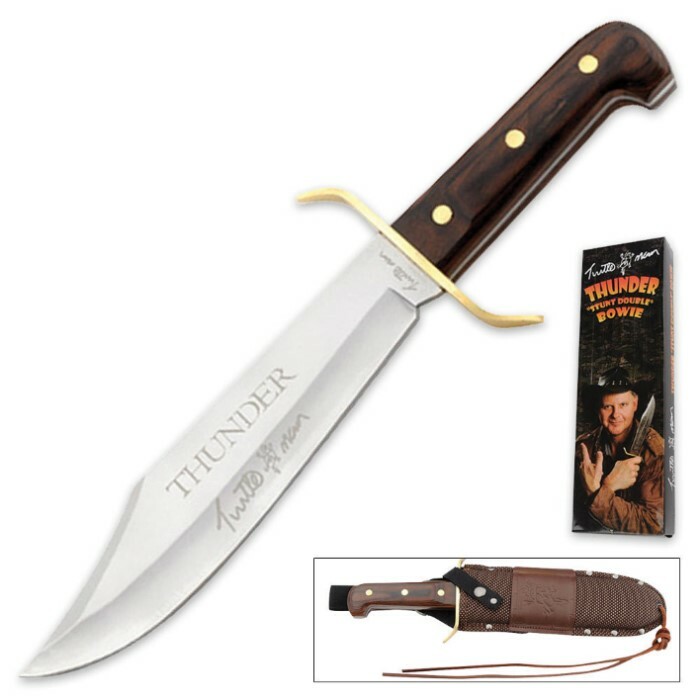 Turtle Man Officially Licensed Thunder Bowie Knife | BUDK.com - Knives & Swords At The Lowest Prices! Here's your chance to own the officially licensed Turtle Man Thunder bowie knife! This massive, full-tang blade features 420 stainless steel construction with a pronounced clip point. The handsome hardwood handle is accented by gleaming brass tang rivets and an oversized guard. It comes with a leather and nylon snap button sheath.